This nifty print-it-yourself poster is a great reference for developers to hang near their workspace. For best results, follow the directions provided below. Send the file to your local print shop and inform them that there is a 0.5” bleed (they’ll know what you mean). Optional: ask for it in matte or gloss. Pick up your new poster. Hang your poster on your wall above your computer workspace. 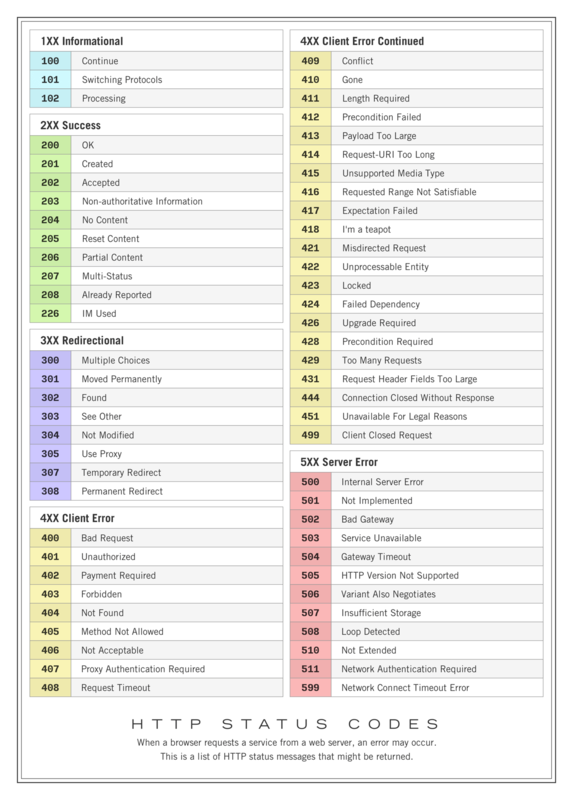 The HTTP Status Code poster was Designed by Steve Schoger. He designs things and gives lots of stuff away for free. You can follow him on Twitter @steveschoger.